Taking you to places you've never been, but will want to go to, from ski villages in Europe to the backcountry, this is the one ski magazine that truly embodies the energy, attitude, and soul of snow skiing. Powder Magazine provides the inside scoop on product development and the newest equipment, ensuring that its readers are the most informed in the industry. 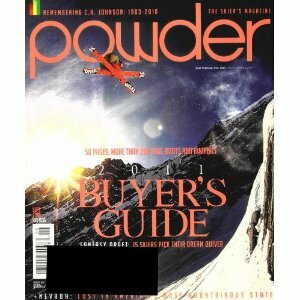 Powder also delivers hot action photography that will motivate you to grab your skis now!